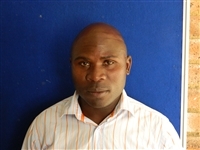 Abraham Ndlovu has won Free Accommodation 1 time! "I am feeling over whelmed and wish l had wings to fly, in tears"
Mooiplasie Bushcamp, the ideal get away close to Pretoria. (65km) Ideal for family or couple getaways. We are a self catering establishment, fully equipped. ( bring only food and drinks).....We are situated in the new Dinokeng Big 5 Game Reserve. (Elephant, Lion, Rhino, Leopard and Buffalo. Small functions and conference facilities available. 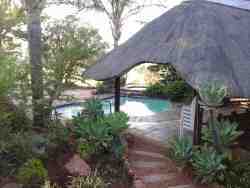 we also have great restaurants and spa facilities in our immediate area. Carousel and Mystic monkeys zoo, situated in our area Relax in our beautifully established garden with its pool, jacuzzi, volleyball/ mini soccer field, pool table, trampoline etc...Play a round (or two) of jukskei (yokepin) whilst visit our friendly camp. We are child and pet friendly. Watch the birds or just have a braai on a sunny afternoon and look into the beautiful bush veld sky with its myriads of stars, clearer than you can ever experience in town. Book a late afternoon or early morning game drive. You may also do self drives in the reserve.